Windows: Double Pane, Triple Pane or Restoration plus Indows? Backup Heating: Propane, Electric plus generator, pellet stove? Moving Walls, Windows & Doors: Cost benefit analysis. What to do with the various savings that these decisions have generated. We also have a prospective buyer: We’ll talk about how we’re dealing with this offers and counter offers that will make this a Win-Win. I’m excited about the project. It has changed from an obsolete, dysfunctional floor plan to a great modern open floor plan with the Master Suite on the ground floor and a view from the kitchen into the family room with the TV and the ambiance fireplace which is the backup heat. Check in and I think you’ll agree that Tom and the team have done an excellent job on this renovation. To download this Webex presentation click here. To watch this audio/video presentation you’ll need to install the FREE Webex .ARF Player for either Windows or Mac. This entry was posted on Wednesday, October 23rd, 2013 at 7:24 pm and is filed under EnergyWise Renovation, Investors Webinars, Real Estate Tips. You can follow any responses to this entry through the RSS 2.0 feed. Both comments and pings are currently closed. Click here to find out how to take full advantage of all GreenEarthEquities has to offer. For a small subscription fee, Green Earth Alliance of Renovators (G.E.A.R.) gives you complete access to our back office, hundreds of past webinars as well as a vast array of training videos on every aspect of energy wise house flipping! Proven insights into the nuts and bolts of profitable energy-wise house flipping utilizing the latest green building tools and technology. Tips on the best financing rates and terms for acquisitions and renovations. Information on energy efficiency rebates and incentives. Green remodeling tricks from a HERS Rater. Energy industry information on career opportunities for professionals and entrepreneurs. Challenges and opportunities working with residential appraisers. Advice to appraisers and underwriters in a rapidly changing industry. What works, what’s cheap and selecting the right plan for you..
How we can work together to encourage greener standards.. 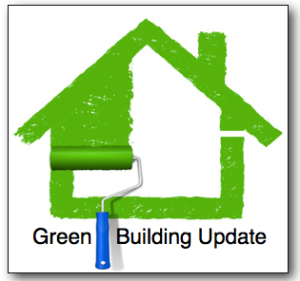 Updated information on the best green building practices..